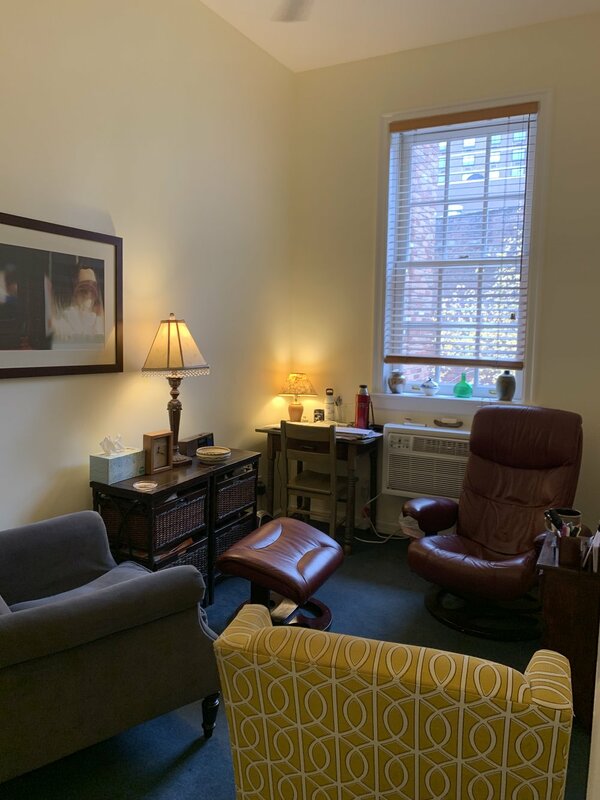 Amazing Upper East Side therapy office suite. 3 furnished full time offices in a windowed suite with a beautiful waiting room with a garden entrance. Free WiFi, cleaning and an in suite bathroom. The best that the Upper East Side has to offer. This location offers the best of the Upper East Side- close access to residents and a thriving neighborhood with cute shops, restaurants and cafes. Free Wi-Fi, in-suite bathroom, mail services, water, and soundproof walls. It is a medical suite and every room available has a large window with tons of light. Transportation is also easy with the Q,4,5,6 trains all steps away.